Right from the foundation of BioConcept in 1978, the focus of the company has been on service and innovation. 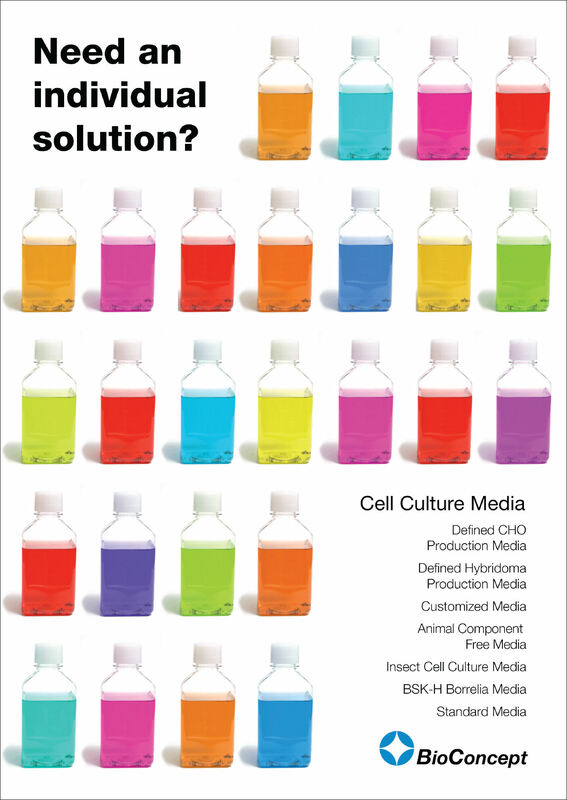 Over the years the production of cell culture media and specialties has been expanded and modernized. 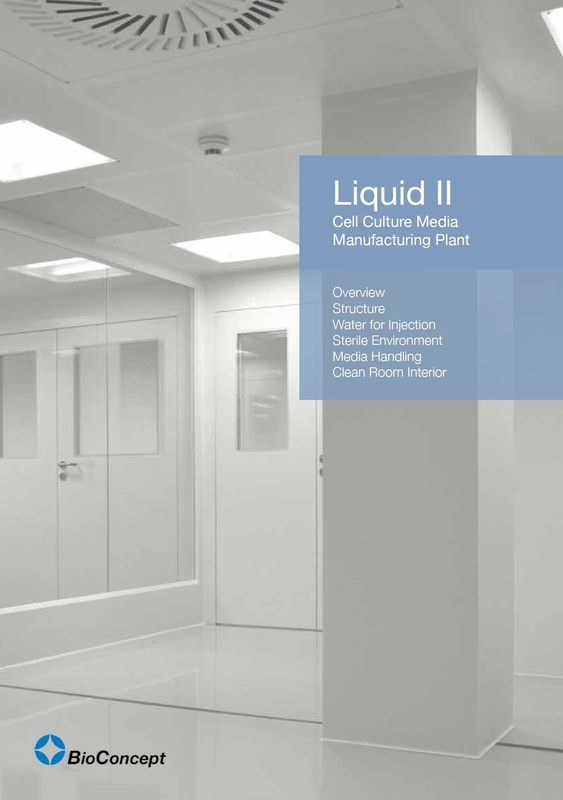 In a modern production plant with an ISO 5 (Class 100) clean room BioConcept produces liquid and powder media and cell culture supplements. Most of our ac­tivities are in the field of customer designed special media. Some of the special media (such as the CHO production media) are manufactured according to GMP guidelines without animal components (Animal Component Free). Using BioConcept`s tissue culture products and servi­ces enables you to get your personal media modification or formulation in a reasonable time. BioConcept is a manufacturer of classical Tissue Culture Media as well as of all kinds of customer designed Media. Our major focus is on Animal Component Free (ACF) media for research and production. The manufacturing part of the company is equipped with designated ACF vessels and manufac­turing devices. 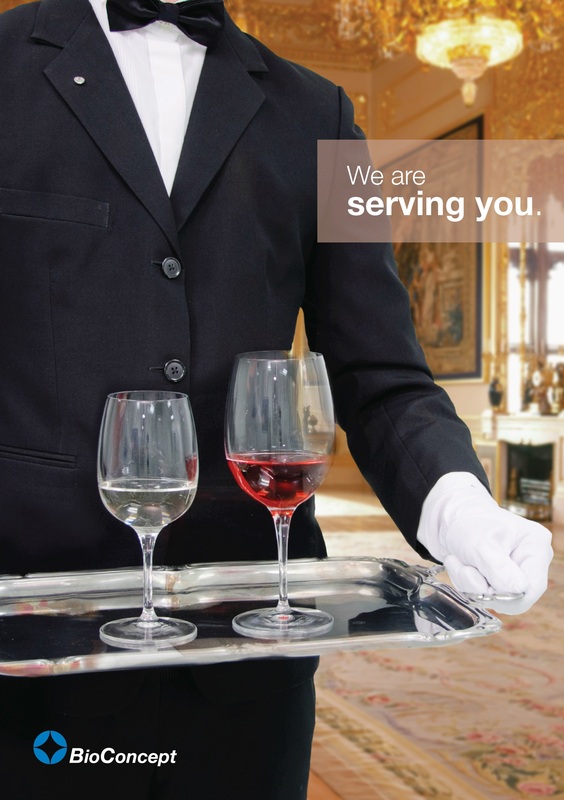 For water purification and air conditioning we follow the highest standards. The plant is organized to high flexibility. This allows us to be very fast in fulfilling our customers needs. The filling volume can be defined by the customers in a range from 5ml to 500 liters. BioConcept constantly improves its equipment and control mechanisms to meet your demands. Whenever you have a special formulation or modification you will get your Tissue Culture Media from BioConcept. In 2009 BioConcept opened its new powder plant. With this expansion we ten folded the powder manufacturing capacity. Now we can produce up to approximately 800 kg/batch. This helps our customers around the world to run large volume bioreactors. Of course we did not compromise to go again to highest standards. Meeting regulatory needs and a high grade of flexibility for our customers stands for our innovative services today and in the future. Feel free to contact our specialists to discuss possibilities and further details. 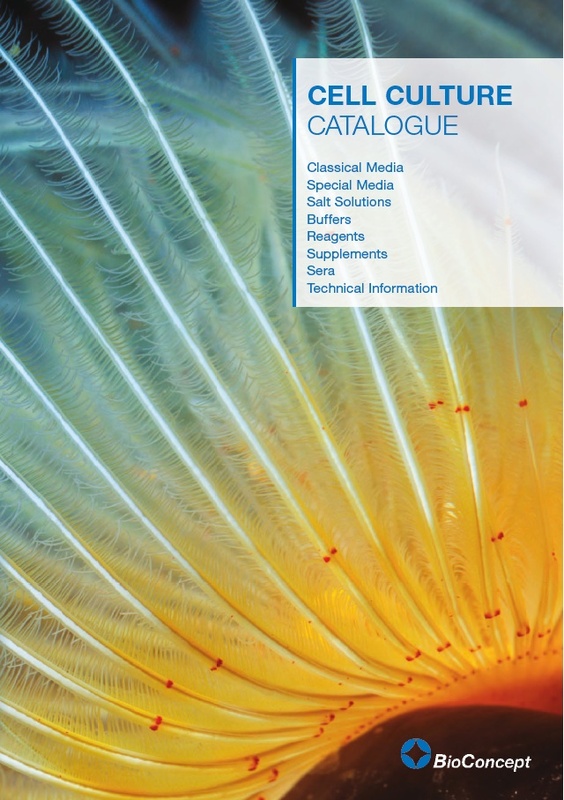 Our new Cell Culture Catalogue gives you all the in­formation you need to get the right products and services.